Chinese media outlets have launched a scathing attack on the United States for its role in the arrest and subsequent detainment of Huawei’s CFO in Vancouver earlier this week. Singapore’s Infocomm Media Development Authority (IMDA) launched a public consultation to seek views on its proposed framework for the Telecommunication and Subscription TV Mediation-Adjudication Scheme which aims to introduce an alternative dispute resolution scheme for telecommunication and media services. This proposal was first unveiled in August 2016 as part of the public consultation on amendments to the IMDA Act and Telecommunications Act, and is intended to supplement existing consumer protection measures and dispute resolution approach to meet rising public expectations for better customer care and service levels. The Scheme aims to provide an alternative avenue for consumers and small businesses to resolve disputes with telecommunication and media service providers in a “fair, affordable, and effective manner,” while incentivizing faster resolution by the service providers. IMDA is proposing a two-stage process for the Scheme: In the mediation stage, where the disputing parties agree on a resolution, the terms of settlement for the dispute will be recorded in a written agreement that is binding on both parties. In the adjudication stage, the adjudicated decision will be final and binding on the service provider if the consumer accepts it. As the Scheme is intended to supplement and not replace existing complaint channels set out by service providers, consumers are to first approach their respective service providers to resolve any disputes before escalating unresolved disputes to the alternative dispute resolution body appointed by IMDA. IMDA is also proposing to make it mandatory for certain telecommunication and media service providers to participate in the Scheme to ensure a more effective dispute resolution process for consumers and small businesses. Consumers, however, will have the flexibility to resolve their disputes through the Scheme or through other avenues such as the Small Claims Tribunal. The Scheme is designed to cover widely-used telecommunication and media services, such as mobile, broadband and subscription TV services. It will also seek to address common disputes that are known to be consumer pain-points, such as disputes on billing or service quality that can usually be resolved through service recovery efforts, or compensated in kind of monetary terms. The parent company of Discovery Channel and Animal Planet, Discovery Communications, is forking out $14.6 billion, or $90 per share, based on Discovery’s Friday, July 21 closing price, to purchase Scripps Networks, the parent company of the Food Network and Travel Channel. The deal will combine two major US television companies, further consolidating the media industry. The transaction is expected to close by early 2018. Discovery and Scripps combined share an estimated 20 percent of ad-supported television viewership in the United States. The benefit of combining, the companies said, is that it would allow them to compete better against online options, such as Netflix and Amazon, which are quickly gaining popularity. Additionally, the combined company will be home to five of the top pay-TV networks for women and will account for over 20% share of women watching primetime pay-TV in the U.S. Discovery sees strong opportunities to strengthen its existing global female networks with select content from Food Network, HGTV and all the Scripps brands. Cable television companies face falling subscriber numbers, and to compete with platforms like Netflix, are releasing their own online platforms, and also cheaper television packages with fewer channels, to entice viewership. “This is an exciting new chapter for Discovery. Scripps is one of the best run media companies in the world with terrific assets, strong brands and popular talent and formats. Our business is about great storytelling, authentic characters and passionate super fans,” said David Zaslav, President and CEO, Discovery Communications. “We believe that by coming together with Scripps, we will create a stronger, more flexible and more dynamic media company with a global content engine that can be fully optimized and monetized across our combined networks, products and services in every country around the world,” Zaslav added. The combination will extend Scripps’ brands, programming and talent to a broader international audience through Discovery’s global distribution, sales and languaging infrastructure. Scripps also has a strong position in key international growth markets, including the U.K. and Poland, and will help fuel Discovery’s existing content pipeline in growth areas like Discovery’s Home and Health network in Latin America. Moffett Nathanson analysts told the BBC there could be advantages for Discovery following the merger, but the long-term issues faced by the companies probably won’t go away: "While there will likely be ample cost synergies, international revenue opportunities and improved relative scale, we don't think this merger will fundamentally alter the long-term prospects of these companies." There was talk of the two companies combining in 2014, and more recently when Scripps fielded interest from Viacom, the owner of MTV, Comedy Central and the Paramount film studio. But after considering the options, Scripps decided the best option was to merge with Discovery. Facebook has received criticism in the past for pushing weak content on its social media platform. Therefore, the company recently announced its acquisition of CrowdTangle, a start-up which specializes in tracking quality content on social networks for media agencies. CrowdTangle confirmed the acquisition in a message at its website, but neither company disclosed financial terms of the deal. According to CrowdTangle, its technology helps to identify stories that are trending and influential, as well as their performance on social networks. The company claims that thousands of journalists use its tool on a daily basis, with customers including newspapers, television stations, digital media outlets, nonprofits, and sports teams. Some of CrowdTangle’s well-known users include Google, BuzzFeed, Vox, BBC, and nonprofits such as Greenpeace and Unicef. The platform is tailored to highlight news that is trending at online venues such as Facebook, Instagram, Google, YouTube or Twitter. It can also provide data to media companies for them to see how much attention they are getting from their content. The CrowdTangle team will continue to run the operation, and the plan was to go on supporting support integration with Twitter, YouTube and other clients, according to AFP. Facebook expected CrowdTangle technology to enable it to provide more meaningful insights to publishers at the social network. BBC Worldwide, the wholly owned commercial subsidiary of the BBC, recently announced a partnership with startup Thoughtly, leaders in artificial intelligence, to better understand its audience through intelligent technology. The partnership provides BBC Worldwide’s Insight team the opportunity to gain a deeper knowledge of how machine learning can support them in understanding which genres of content are most in demand, and where. After an initial trial, BBC Worldwide and Thoughtly reportedly completed a more “detailed piece of analysis - which includes looking at synopses and descriptions of programmes alongside data mining - to tease out more detail as how best to categorise individual titles”. The partnership between Thoughtly and BBC Worldwide’s Insight team is the latest collaboration undertaken by the subsidiary company to better understand its audience behaviors and needs. “We are excited that Thoughtly can help us reveal patterns and trends previously unknown and hidden in our content,” said David Boyle, EVP Insight, BBC Worldwide. “Through working with Thoughtly, and utilizing machine learning, we are building a deeper understanding of our content so that it can be paired with the most relevant audiences for both the BBC Worldwide and our partners. SFR, a global operator holding prime positions in all of France’s telecommunications market segments, from consumer to B2B, local authorities and wholesale, is set to become France’s leading content operator by combining telecoms, advertising and media. The company announced the acquisition of Altice N.V.’s 49 percent minority stake in NextRadio, acquired in December 2015 as part of its strategic partnership with Alain Weill, CEO of NextRadio. NextRadioTV is a benchmark operator in the French information ecosystem, focused on mainstream news, sports, business, high-tech and discovery. NextRadioTV operates powerful businesses and media brands such as BFMTV and RMC (France's fourth TV group and fourth radio station, respectively, in terms of audience), as well as RMC Sport, RMC Découverte, BMF Business, 01net.com (6 million unique visitors monthly) and BFMTV.com (4 million unique visitors monthly). NextRadioTV also owns a minority interest in the Numéro 23 channel. The proposed transaction values NextRadioTV at an enterprise value of €741 million. The interest in NextRadioTV is acquired by SFR at cost relative to the original price paid by Altice N.V.
SFR also announced that it has entered into negotiations to acquire Altice Media Group France, a leading diversified and profitable media group in France, which publishes more than 20 major national titles, including iconic and well-known brands such as Libération, L'Express, L'Expansion, L'Etudiant and Stratégies. Altice Media Group France operates an international news channel - i24 News - and has positioned itself as the second largest operator in the French digital press sector. In addition, Altice Media Group France is a leading event organizer: its Salon de l'Etudiant trade fair, in particular, has attracted 2 million visitors annually for more than 30 years. The proposed transaction values Altice Media Group France at an enterprise value of €241 million. Both transactions represent a unique opportunity to develop SFR into a true cross-media content publisher, capitalizing on a highly diversified portfolio of premium brands. The acquisitions support SFR's business strategy by accelerating the deployment of the global convergence of telecoms, media/content and advertising. The two proposed transactions were approved by SFR's Board of Directors on April 26.
Business talked about the importance of digital economy, focusing on the telco's role and digital transformation, showing its effect on society and the consumer. The following are some of his responses. What is the new role of the telco in this new, highly connected digital world? With millions of companies, billions of people and ever increasing numbers of objects connected to each other every second, the growth of digital is resulting in a tremendous amount of disruption for communications service providers (CSPs). As Accenture research confirms, competition has become fierce, especially from digital giants, as people consider turning to consumer technology companies for broadband, voice and messaging systems as alternatives to CSPs. The traditional operators' business model is under assault, with industry analyst firm Ovum predicting more than US $80 billion USD in operators' revenue is at risk just in 2015. In this highly connected world, we believe that CSPs have a unique opportunity to transform themselves into Integrated digital service providers (IDSP), and to play a central role in the digital economy not only as enablers of core services, but also as active players in the new ecosystem. There are several pieces of evidence to support our vision of the telco as the enabler of the digital economy. CSPs aiming at transforming themselves into IDSPs can immediately leverage existing assets: strong and trusted brands, unique location and proximity to their clients, established billing relationships, robust network infrastructures and a large quantity of customer and usage data, to mention just a few. CSPs can also leverage their customers' proximity as a trusted provider to consumers and enterprises, a tremendous asset that can play a major role in differentiating them from competition in the new digital world. CSPs also have an opportunity to be a growth driver in the digital economy, leading the way in bringing new services to market by introducing existing customers to new propositions enabled by digital technologies. As an example of this, in our recent study 'Everyone's a Screenager, Now What? ', we found that telecom operators are already in the leading position as trusted providers among organizations that consumers would consider using for the provision of connected devices and services. This is a tremendous competitive advantage in a new digital world where players and rules have significantly changed. What is the key to telcos thriving in a digital economy? In order to thrive in the digital era, operators must re-imagine their core businesses and find ways to turn the disruption to their advantage. Their objective should be to become IDSPs; operators investing in their infrastructure capabilities, operations and offerings to pursue digital as a business, both internally in terms of their own infrastructures, and externally in terms of what they are able to offer their customers, be they consumers, enterprises or governments. Becoming an IDSP will enable a CSP to provide a superior customer experience and offer a new set of customized and innovative services and solutions. As an example, CSPs could become the "digital home integrator" for the consumer market, while becoming the "M2M enabler", "smart city provider" or "IT one-stop-shop" for the enterprises and governments. By turning their attentions to the potential of digital, playing on their traditional strengths and improving them to be relevant in the digital world, a CSP could act as a sophisticated ICT aggregator, managing a complex ecosystem of partnership with the ambition to be the hub of a person or an organization's digital future. One of the key elements of the transformation to becoming an IDSP is a state-of-the art and agile network infrastructure. The growth and demand for digital services is creating tremendous disruption for CSPs as their customers, particularly the enterprise segment, demand ever-increasing capacity, service velocity, quality and differentiation. To address the requirements of the new digital customer in a cost-effective and efficient manner while reducing time to revenue, high-performing CSPs are moving away from reliance on purpose-built hardware for network functions. They are instead creating a new digital network of the future-underpinned by the cloud, software-defined network (SDN) tools, and network functional virtualization (NFV)-that will be a flexible business enabler, providing an opportunity for CSPs to win against the digital giants and to be a disrupter, rather than the disrupted. 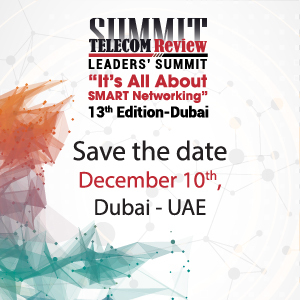 Moreover, differentiating network capabilities, capacities and solutions are a means to attract premium revenue. As an example of creating this differentiation, one CSP has established an evolved multimedia broadcast multicast service (eMBMS) video network to cost-effectively deliver mobile TV from one broadcast signal to many mobile phone subscribers at once. Are there any rules or guidelines for modern Telcos to embark a successful digital transformation? Accenture is supporting significant numbers of clients across all industries as they embark on digital transformation initiatives. These include developing strategies to address the evolving habits, behaviors and expectations of the new digital customer, evident in both consumers and enterprises. This wave of change is particularly visible in the communication industry. There are typically three main dimensions along which CSPs are transforming: digitalization of customer interactions, development of new digital products and services and digitalization of internal operations and processes. Delivering a seamless customer experience by creating digital and delightful customer journeys across all channels is a critical success factor. The digital transformation should also include implementation of the necessary technology enablers, such as an accelerated adoption of multi-speed IT, and be supported by a well-articulated change management program across all the components of the organization. A key focus area is talent strategy, as people will play a central role in mastering new technologies and enabling the sophisticated business models required to succeed in the digital era. Typically, the main challenges faced by CSPs are in the execution of digital transformation, rather than in designing it. Identifying the right operating model to govern and implement the transformation while managing the "business as usual" is the most critical and complex success factor. Several options are possible, from establishing digital transformation internal committees, to creating centralized and independent digital centers of excellence across business units, up to developing and spinning off a new digital company. Generally speaking, there is not a common answer that fits all organizations. It depends on the DNA of an organization itself, the company culture and also the partners selected for the digital transformation journey. What, if any, fears are CIOs and CMOs facing on their journey of digital transformation? CMOs and CIOs agree that getting marketing IT right is a crucial part of their organization's customer-focused digital transformation. But they are challenged with executing on their strategies. The Accenture study, "Cutting Across the CMO-CIO Divide", shows that many senior marketers and IT leaders have encountered problems in implementing marketing solutions or IT projects that focus on marketing effectiveness. They feel that technology in their organization is still siloed and cumbersome. As a result, we're seeing many organizations struggling to craft cross-channel and multi-channel experiences that are relevant and delightful for their customers. In the four years of leading this research, we've never seen CMOs and CIOs as interested in working together as they are now. We believe that establishing a joint vision with a focus around service design and customer experience can help overcome current issues. Operating models should be revised to integrate customer-focused skills throughout the company, and marketing models and budgets should be aligned with the new ecosystem of marketing services. Acting on these recommendations allows companies to achieve the ultimate goal of marketing and IT collaboration: enduring customer relevance at scale through a customer-focused digital transformation. Do you think the rapid change of technology is good for the consumer? There is no doubt that the technological advances being made today are going to be, and are already proving to be, good for consumers. People want services that are customized for them, available on demand and at the simple touch of a button, and the adoption of new digitally-enabled services and products will help make this a reality. At Accenture, we believe that what we are living is not just a change in technology. Technology is the enabler, but consumers are changing expectations, habits and values. The whole economy is moving towards digital, which will benefit the whole ecosystem. Consumers are getting more tailored services, companies have tremendous opportunities to streamline their processes and boost their propositions, and governments can be in direct contact with and supportive of every single citizen. Smart cities are one example of this change having a positive effect, but there are other disruptive innovations in the consumer realm that provide day to day benefits, such as connected health offerings (remotely being able to access medical advice, for example), and personalized content streaming services, or even connected fashion and digitally enabled clothes! Companies and governments are keen to share the benefits of technology with people who want it as quickly as infrastructures and regulations will allow, and the speed of progress is often impacted by increased demand once consumers realize what it is possible to achieve. Do you think the change will realistically benefit everyone in society? Internet of things technologies such as those that enable smart cities can improve the use and experiences of physical spaces where we live and work; their potential is not only about improving the lives of individuals, but businesses, the environment, city operations and any number of other activities. For example, we are already seeing smart buildings that enable lower energy usage, and police using sensor and video analytics to help predict crowd behavior, coordinate resources and respond to incidents. The Internet of things will have endless applications that could benefit everyone in society. For example, Accenture is part of a consortium called City Digital, which is developing and testing urban infrastructure solutions in Chicago to develop transformative improvements in cities across the world. At the moment, we're working with them on an underground infrastructure mapping pilot, which focuses on developing a platform to enable virtual mapping and coordination to help monitor underground structures, like water pipes, gas lines, power and electrical systems, subway structures and telecommunications cabling. The goal is to overcome inefficiencies and costs created by the reliance on antiquated systems to plan and execute underground projects. The pilot will also better coordinate underground permitting and activities, reduce redundant digging operations and accidental interruptions of service, improving the accuracy of utility information and optimizing the way this information is obtained. With services like this, every inhabitant of an area can benefit from improved utilities, enhanced security and fewer disruptions. How does Accenture fit into this rapidly evolving landscape of digital transformation? Accenture is a global organization of more than 358,000 people, serving clients in more than 120 countries and one of the benefits that our clients enjoy is being able to leverage our global expertise, but maintaining a local presence and strong local team is also very important to us. We will continue to make significant investments in research and new technology with our team of digital experts. We are dedicated to enable digital transformation for businesses across industries as well as governments and to develop and nurture local talent to enable the region's best and brightest, cultivating valuable careers and contributing to their countries' agendas.